The product page is a very important element of any ecommerce site. This is the page which is meant to furnish prospects with product information such as pricing, warranty, return policies and shipping costs. However, offering such information by itself is not sufficient. You need to ensure that your product pages are designed in a user-friendly way. The following are some tips for designing user-friendly product pages. Every product being in your ecommerce site should be accompanied with a unique product summary. Make sure the description is written in a way that compels visitors to make a buying decision. Give the visitor sufficient reason why they should buy from you and not the competition. You need to provide contact details such as phone numbers, email addresses and social media handles that customers can use to reach you. To respond to customer enquiries instantly, you could consider having a live chat feature. This will help you build trust with your prospects, and consequently increase the rate of conversion. Some prospects might want to print out your product pages for later reference. It is therefore important to have printable versions of your product pages which are free from breadcrumbs and navigation links. Be sure to use a font color, size and style which will be legible on paper. Online shoppers make buying decisions based on what they see. Clear and professional-looking product images give buyers a good idea of what they are getting. You can further enhance your images by installing a zoom feature and offering several angle views. Besides high resolution images, you could also consider embedding product demo videos on your pages. When prospects look at a product in your store, they would want to know its cost immediately. 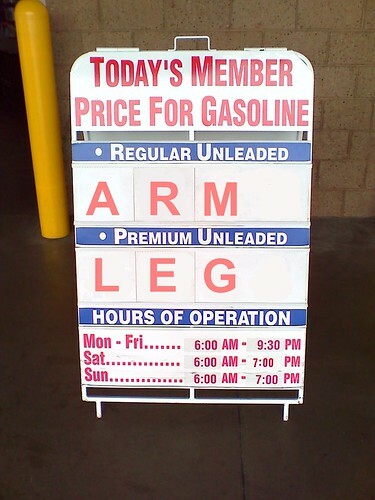 Therefore, make sure your prices are displayed prominently. You could also consider showing your prices in various international currencies. Alternatively, you could install a currency calculator which visitors can use to make their own calculations. Don’t forget to include the shipping cost in your pricing. Customer reviews or testimonials are very important for building trust. Ask a few of your satisfied customers to write brief reviews for your products. You can then place links to these reviews on your product pages. To make the reviews appear credible, it would be advisable to include the customers’ names, photos and website. A product page is not complete without a call to action (CTA). This could either be Compare, Add to Cart, Buy Now or Print. Make sure all your CTAs are bold, legible and in vibrant, contrasting colors. If your online store is offering multiple products, you’ll need to break them down into different product categories. These categories can further be broken down into sub-categories and then placed in drop down menus. This will make it easier for visitors to find what they are looking for. When shoppers visit your product pages, they should know if what they are looking for is available or not. It can be frustrating to add items to a cart only to realize later that they are out of stock. You can use this feature to increase your sales by mentioning that there are only a few items remaining. An ecommerce site should have a consistent layout for all its product pages. For instance, the navigation links should appear in the same position on each page. You should also ensure that your content is organized in a consistent way. This will make it easy for visitors to browse through your site and find what they are looking for. One of the best ways of having a consistent layout is by using professional, ready-made templates such as Website templates powered by MotoCMS. Include a link to your Terms and Conditions statements on your shopping cart, as well as your product pages. Encourage your customers to read the policies before proceeding to checkout. Charles Mburugu is a professional blogger who likes sharing tips for internet marketers and bloggers. You can follow him on Twitter @techblogke.